Recent review: Thank you for the great service! Winnie the Pooh was a huge hit at our kids party! Affordable Balloon Decorating... We look forward to bringing your vision to life! Who knew you could do so much with balloons! Balloon decor is a creative, colorful, and customizable way to decorate your event. Balloons come in all shapes and sizes and can be formed into different types of decorations. Create balloon centerpieces that match the colors of your event. Make an entrance at Prom with a balloon archway marking the entrance for the little lovebirds. 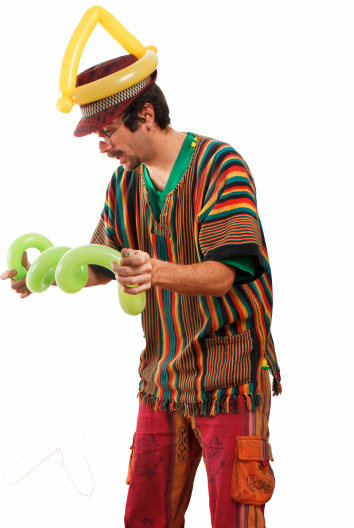 Test your balloon artist's skills and have them create objects out of balloons - and I'm not talking a weiner dog! Artists can create full size objects like cars, people, and buildings with balloons! Search for Balloon Decor in Leesburg, Virginia above. Please note that these Balloon Decor may also travel to Paeonian Springs, Lansdowne, Broadlands, Ashburn, Hamilton, Lincoln, Waterford, Brambleton, Aldie, Purcellville, Philomont, Dulles, Arcola, Sterling, Poolesville, Stone Ridge, Beallsville, Hillsboro, Round Hill, Middleburg, Dickerson, Tuscarora, Lovettsville, Point Of Rocks, Bluemont, Barnesville, Oak Hill, Great Falls, Chantilly, and Darnestown.